The Irish-born author (Snow Wolf) teeters on the edge of genius and sacrilege with this thriller about a subject known since the time of Christ. 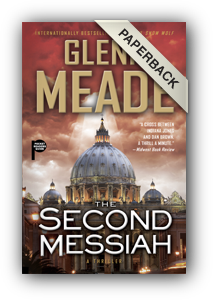 When archeologist Jack Cane discovers ancient documents that point to the existence of another messiah, he also quickly finds out that both Israeli and Catholic authorities have reason to possess, or suppress, such documents. Racked with the pain of personal loss, he meets up with an old friend, Lela, who is part of an Israeli police team investigating multiple crimes, including a cold case involving the possible murder of Cane's parents--also archeologists--20 years earlier. Some who have avoided Christian fiction or only dipped in will find this departure from the mold refreshing, even while some regular readers of Christian fiction may find certain passages revolting. 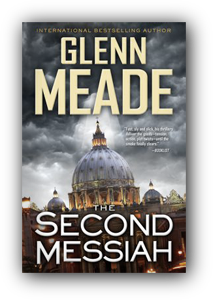 Fans of Davis Bunn or Dan Brown won't bat an eye at Meade's unblinking look at the Vatican and the religious secrecy that fuels such novels. With a plot that screams, a controversial edge, and characters with attitude and something to prove, this has all the makings to be the next Da Vinci Code.